Life can sometimes be complicated. This is simple – at Pure Vibe Studios, we are committed to high quality instruction in a safe, friendly, inclusive atmosphere serving people who want to integrate into a healthier lifestyle. 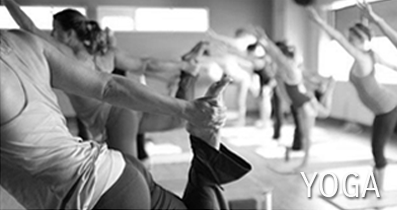 Pure Vibe Studios offers a diverse range of programs such as SURFSET, Revkor, PiYo, TurboKick, Meditation and a vast range of yoga classes including Hatha, Yin, Power, Vinyasa Flow and many more. We provide the tools and guidance to help you develop strength, stamina, emotional balance, and a greater wellbeing. We practice in a non-competitive environment that welcomes all levels of experience. 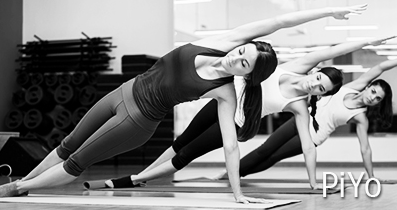 Our certified instructors will emphasize proper alignment, relaxation, and the mind-body connection in order to foster an empowering sense of self accomplishment. Pura vida means that no matter what your current situation is, life for someone else can always be less fortunate. So maybe your situation isn’t all that bad and no matter what you have or how much you have in life, we are all here together and life is short…so start living it “Pura Vida style”. So, if you want to know what living a peaceful, simple, uncluttered life with a deep appreciation for nature, family and friends – experience it yourself Pura Vida style. Did you know that our logo consists of water waves encased in a circle? The meaning behind this design is that the Circle represents unity, wholeness and equality. The Water symbolized life, purity, cleansing, transformation and reflection. And the Waves represent strength, unstoppable power, movement, transformation and new beginnings. Pure Vibe Studio is a very warm and welcoming environment and the staff is very friendly and I would recommend it to anyone. The Pure Vibe Studios is an amazing place. My sister told me to go check out the leggings and I probably tried on every pair in the store. I was so impressed with the amazing service, so helpful, honest and really focused on making sure I left happy, which I totally did. The atmosphere was incredible and I wished I actually lived in Lloyd as I would be at a class every day! Thank you so much for the amazing experience I will be back again for sure. I recently attended a Revkor class and I absolutely loved it! I have to say I was a bit nervous as I have never participated in a class like that before. But when I walked in the studio I was greeted by friendly faces and felt very welcomed! The class was challenging but yet fun. I found Lindsay very clear and precise with the instructions. Thankfully she walked around and corrected form and technique because I needed it! I have been going to revkor classes at Pure Vibe studios for 6 weeks now. Wow is the first word that comes to mind! Coming from someone who has tried a lot of workouts from crossfit to TRX training, trust me this studio and workouts are awesome!! Lindsay teaches with a gentle focused warmth that makes you want to push yourself to work hard. She knows when to correct your form without ever making it seem like you aren't doing great! The classes are inspiring, making me want to keep going and getting better! It feels like a family when you walk into Pure Vibe, it's the best part of my day! I am a certified yoga teacher and I have had the pleasure of attending yoga classes, surf set and rev core at Pure Vibe Studios. The instructors carry out demonstrations with confidence and ensure the clients' safety at all times. The most important aspect is they practices and know their craft. The studio itself is state of the art. It's an absolute joy to teach out of. The feeling is modern, light, and sophisticated. Many times after classes, clients enjoy lingering in the common area checking out the display racks of clothing and chatting with friends. Loydminster is in desperate need of more businesses that project this kind of feeling. Places where they feel they can join friends, have a common interest or enjoy something new, like surfset, yoga or revkor. I am so incredibly excited to be a part of something so positive. The special floors are great. I appreciate the floor has antibacterial properties as I typically never go barefoot in any public place. The floor is extra comfy for my knees, feet, and palms. Thank you ladies for my new favorite place to spend spare time! 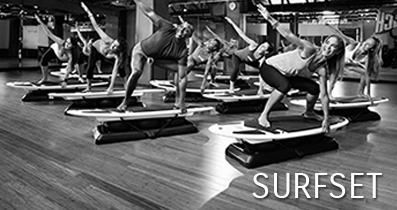 I loved Surfset balance as much as revkor and am loving the yoga sessions too. I attended the REV sport class and I found the classes, as I always do, to be superbly instructed by Lindsay Saville. I have been a professional dancer in NY and LA for the past 6 years, and have taken all sorts of top level workout classes…most of which set the standard for the styles all around the world. I moved to Lloydminster to work this summer, and was disappointed with the level of workout classes this city had to offer. Until I walked into Pure Vibe Studios on its opening day. I immediately bought a pass, and began to make a daily pilgrimage to the studio for its wonderful mix of classes and excellent instruction. Not to mention its pristine interior design. Within one month, I have seen so many positive changes in my body, and owe much of that to Lindsay’s REV classes. I recommend this studio to everyone I meet and will continue to do so. I love Pure Vibe Studios! Pure Vibe is a yoga studio unlike any other I have ever had the privilege to attend... from the moment you walk in the door, everyone is so kind and welcoming you instantly feel at home. Lindsay and her staff are incredibly knowledgeable and passionate about what they do and this is evident in the overwhelming positive response they receive from their clients and the enthusiasm you feel when you enter the studio. I cannot say enough good things about Pure Vibe Studios, Lindsay, and the rest of the staff. They have been instrumental in helping me become a fitter, healthier, happier person! My brother and I had our first experience of the revyoga class in your wonderful new Studio. We were both very impressed by the facility and the warm welcome we received when we walked in. We both tried the revyoga class and enjoyed the combination of stretches and the work out we had with this class. We enjoyed Lindsay’s coaching as she explained the moves well and clear and watched over as we moved through each stretch. I would recommend this class to anyone from beginner to advanced. I will defiantly be back for more revkor and will try the other classes offered in your studio as well. Thank you for the great experience! I have been crossfitting for 4-5 years and wish I would have had the opportunity to have done RevYoga throughout that time. Crossfit hits the big muscle groups and has proved in my case to be taxing on a few body parts. 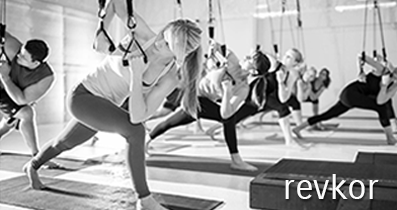 Cross-training using RevYoga 1-2 a week assists in strengthen my stabilizing muscles which will help prevent injury all while still giving a good workout. I would recommend the class to those recovering or looking to prevent injury to those looking at a low impact, promoting lean muscle workout. I joined Pure Vibe Studios about a month ago and wasn’t sure what to expect. I had reservations that I wouldn’t fit in with the “yoga crowd”, or that even if I did, I would become bored quickly. I tried the Revkor, various yoga classes and even worked up to a surfset class! Well, I’m not sure where to begin, all of my hopes and expectations were well exceeded! The atmosphere is warm and welcoming for all fitness levels and I felt nothing but comfortable right from my first visit. The yoga instructors I’ve had have been wonder, and even though I’m green to most poses and terminology, I at no time felt like that mattered. They were patient and attentive, and I left each class feeling wonderful. There were all shapes, sizes and ages of people in the classes, and everyone was able to participate in a way that was matched to their fitness levels! I see my visits to the studio becoming a regular part of my life! Just wanted to send a quick thanks for your classes! Love the Surfset – gets me so focused that I literally forget about everything for the entire class – I find it almost as mind clearing as meditation for me. But honestly the Revkor has been the best thing that has ever happened to me physically. As you know I have Rheumatoid Arthritis and have had for about 10 years now. At 48 I know that I have to take care of my joints going into my 50’s and 60’s, but I also have the added pressure of having this awesome disease that causes my body to attack every single joint in my body creating severe and painful inflammation that can only be controlled with several medications and continued exercise. Of course I have to be extraordinarily careful about what exercise classes that I participate in because most programs such as weightlifting and cross-fit classes can put enormous pressure on my joints. When you discussed Revkor with me at yoga class the first time I was curious and watched the video that you told me about. I was beyond excited! This was exactly what my Rheumatologist and my kinesiologist have been telling me to do for years! Resistance band exercise! Then I started taking your classes – within six weeks I can already see and feel such amazing changes in my body. My wrists and shoulders have generally been my worst sources of weakness and pain – your patience with showing us the sequences and carefully explaining the moves and the importance of proper positioning as opposed to bending the lowest or pushing harder has been so beneficial. The fact that you always emphasize that there are modifications for every pose makes even the most inexperienced in the class feel at ease and way you move through the classes with an even flow and calming voice makes the hour fly by. It’s really hard to believe that you are still learning this yourself – it seems like you’ve been at this for years instead of months! Thanks again for all that you do!